Book tee times with friends. Get to the first tee faster. Organize your own game. GroupLooper does a lot of the heavy lifting. You'll be amazed by how fast you can book* and fill your tee time. Find a tee time to join. Drop yourself into an open foursome at your favorite course or link up with a friend at an old favorite. One click tee times. 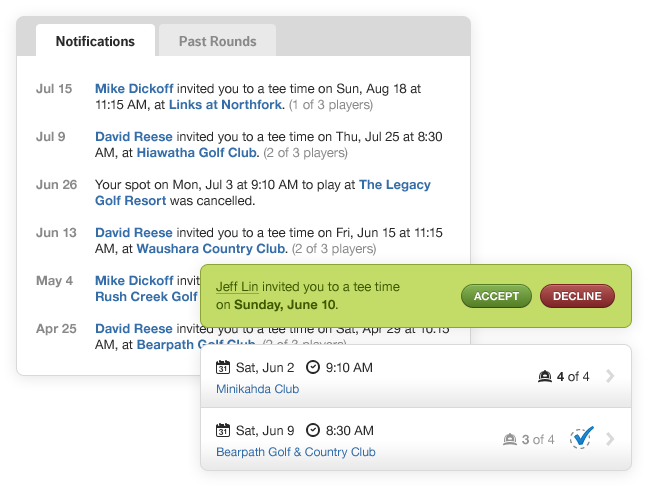 If you're invited to join a tee time, it takes a single click to opt in or out. * Online booking not available for all courses. Make golf easier on your wallet. 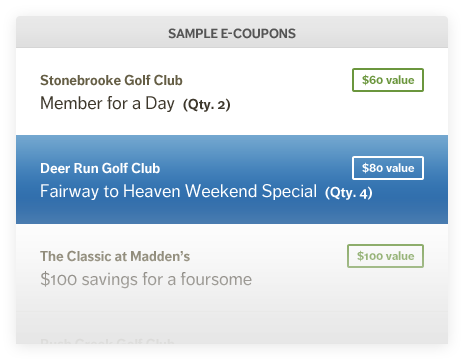 Course operators use GroupLooper coupons to bring you exclusive deals that are easy to redeem; simply display them on your smartphone at the course. No smartphone? Simply print and bring with you. Quality and quantity. Our tireless dealbots scour the web for the best deals available so you don't have to. Just for you. Some deals in GroupLooper are just for you and your playing partners. Courses can limit promotions to use by members of specific networks. Every course is just a click away. Discover new courses. With detailed information for over 35,000 courses worldwide, you’re bound to discover new gems. Quickly find courses based on location. 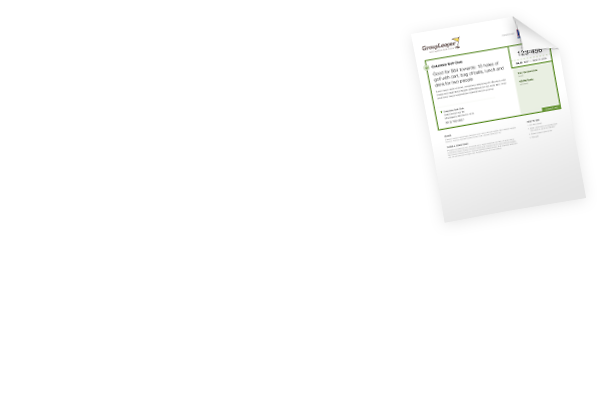 Details include location, contact info, scorecard data, rates, discount information and website links. Filter courses in numerous ways to find exactly what you're looking for. Maintain your own Played, Favorite and Wish lists. List-O-Mania. Everyone likes lists, and we've got hundreds of interesting lists of golf courses by Architect, Discount Program, "Best of", etc. Use networks to expand your golf network. Each network is a group of golfers with common interests. Join as many as you want. Become the benevolent dictator of your very own private golf and country club. Many networks have special privileges for their members at certain courses. Many networks have members-only events that you'll be eligible to participate in if you join. 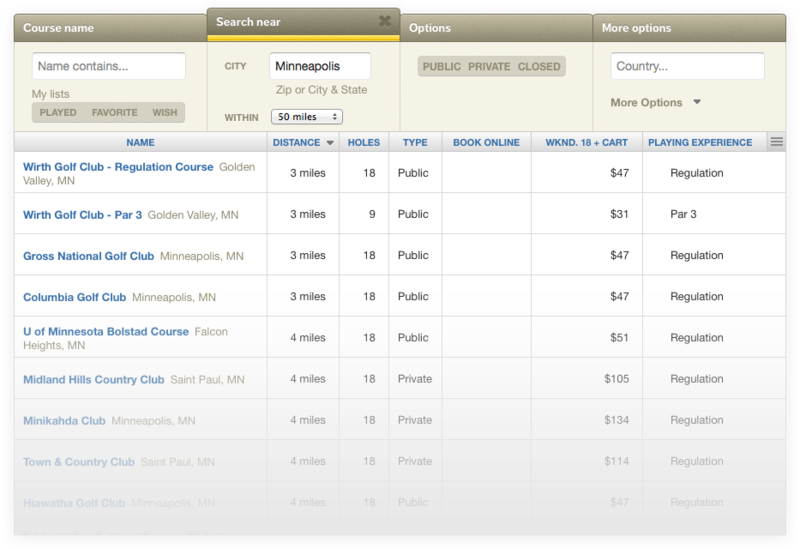 Have on-the-go access to tee times and course information with our mobile-optimized site. 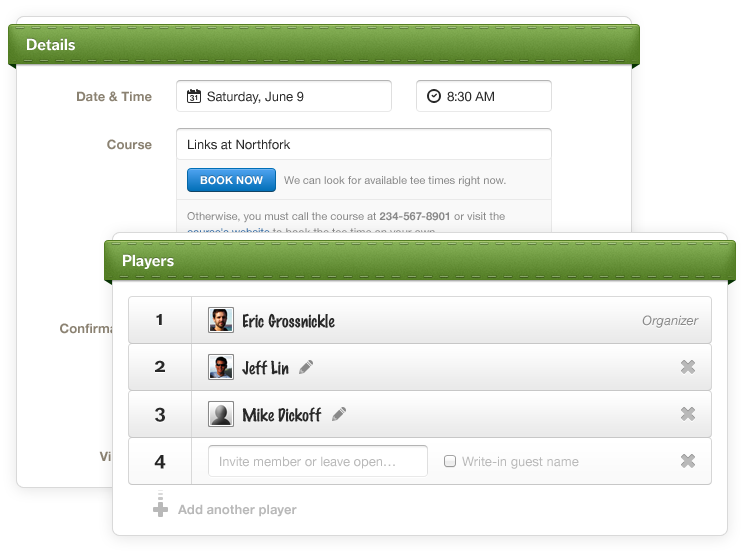 At a glance, see upcoming tee times, pending invitations, and other relevant information. Control your personal settings including privacy, communication options, and defaults. Fill out your player profile to help compatible and nearby players find you more easily. Find players based on age, location, handicap, CPI, club membership, and more. College Buddies. The Regulars. 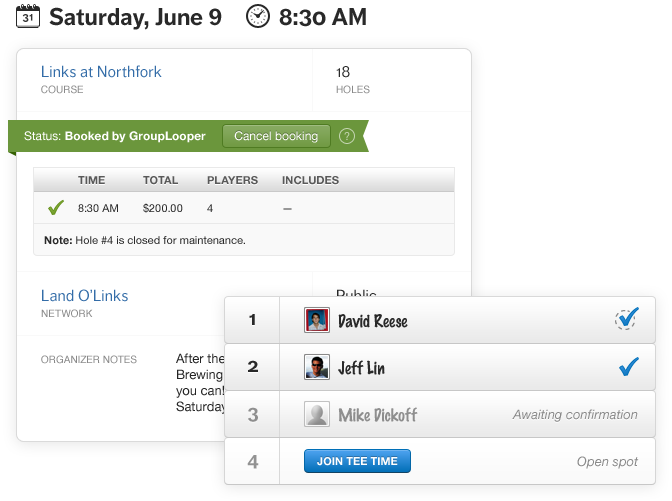 Invite groups of players to tee times with one click. Communicate (or do some friendly trash talkin’) with the other players on the tee time. Refer to past rounds to see your scores, who you’ve played with, and where you’ve played. Add your own comments on courses you've played and review comments by others. Join thousands of avid golfers and play more golf today!